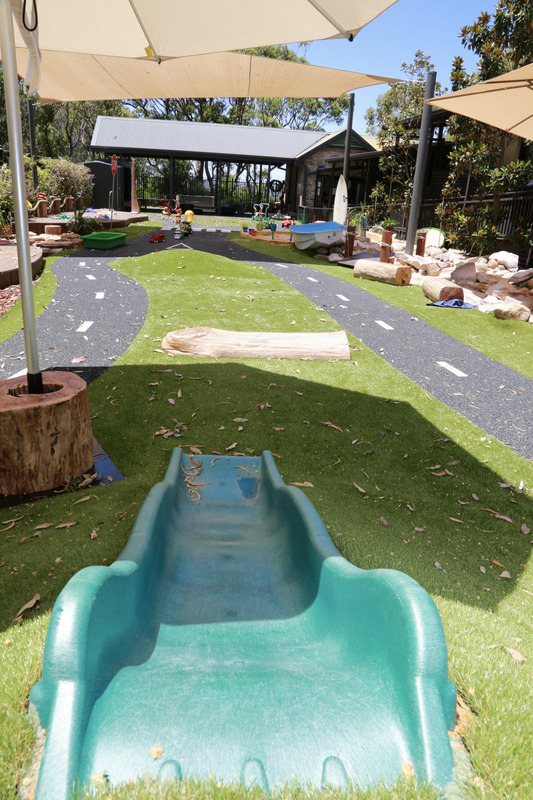 The existing playground was in a terrible rundown state. 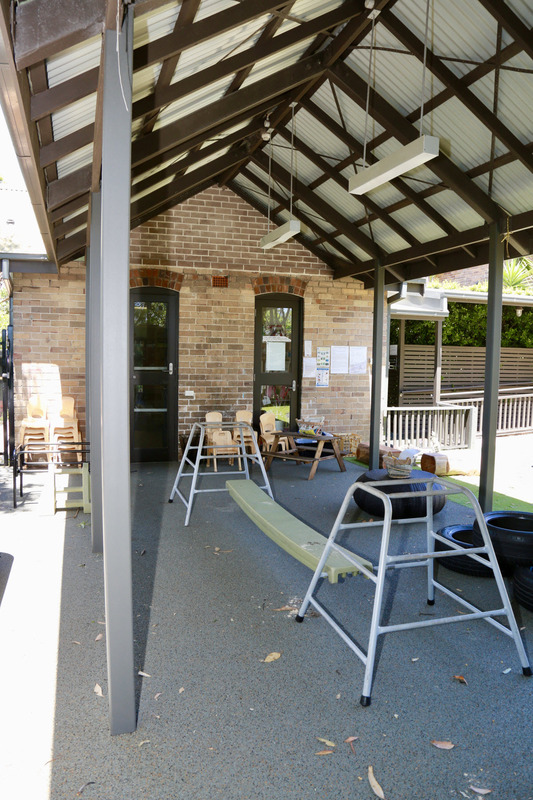 So we demolished the existing structures in ready for new. 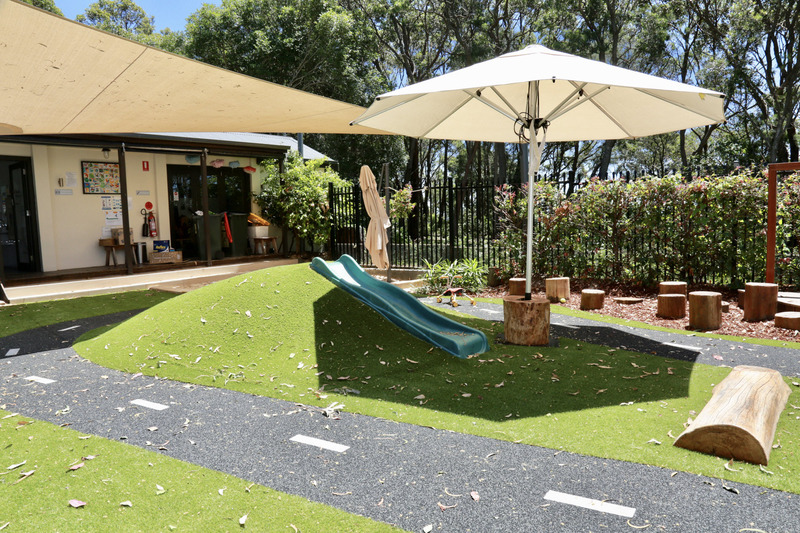 The playground design was a combination of synthetic turf, rubber Softfall, and natural elements all being combined to create a new and inviting space for the children. 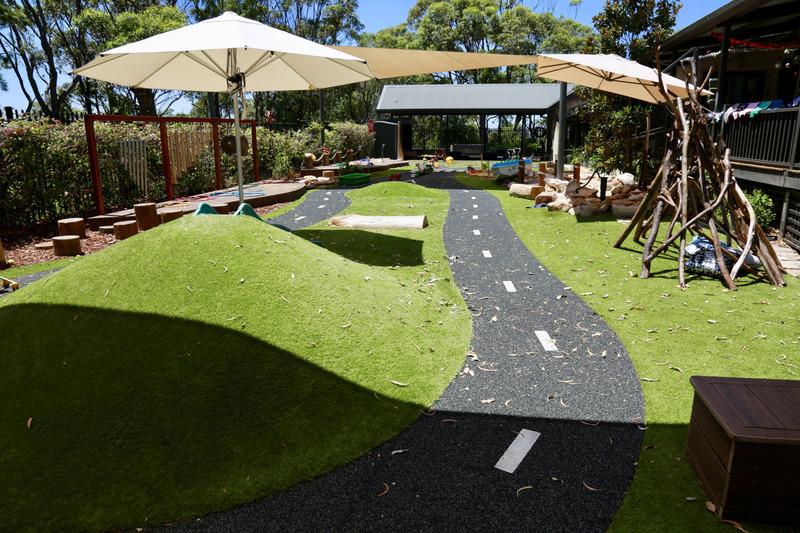 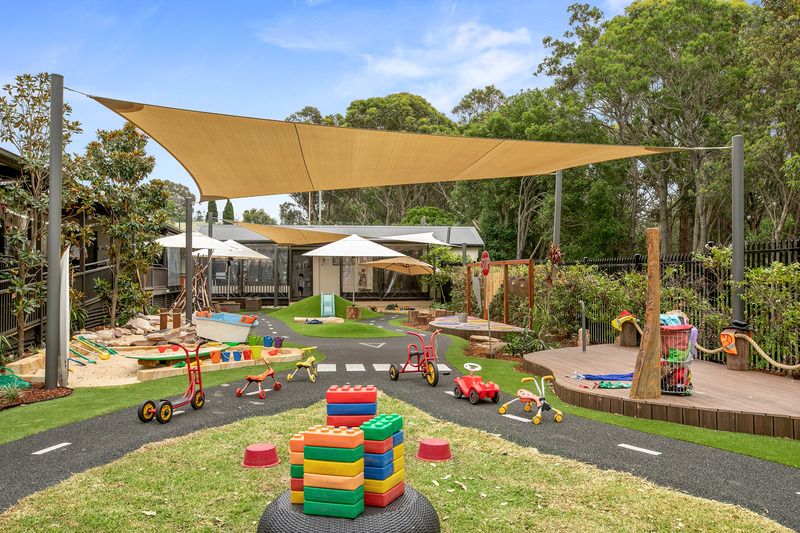 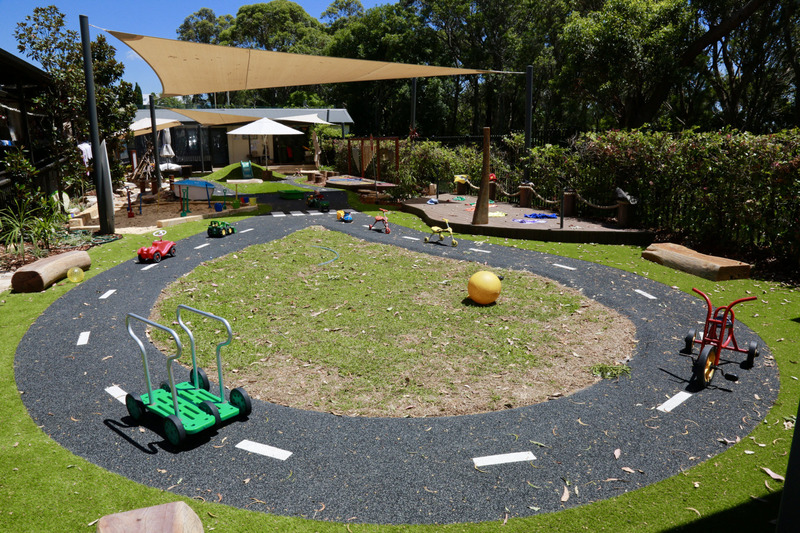 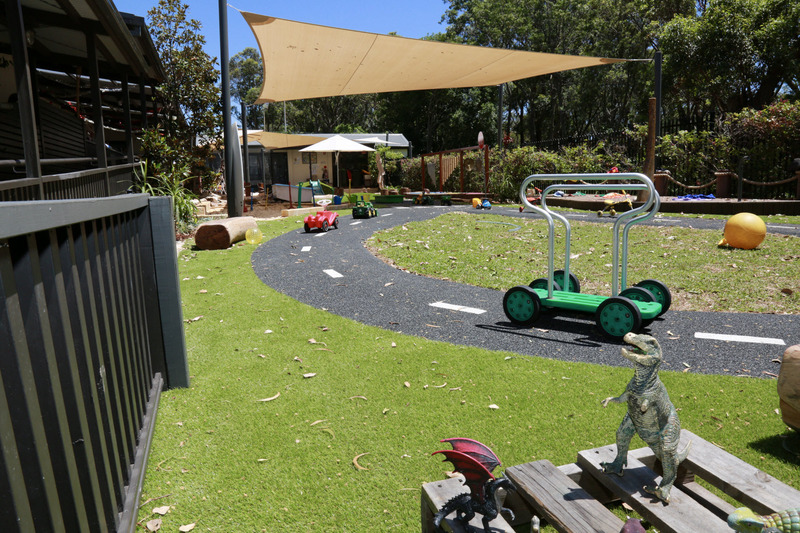 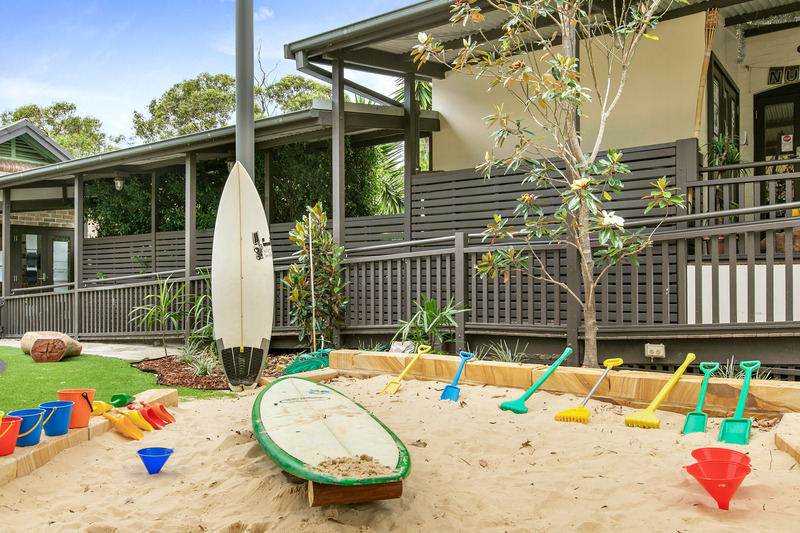 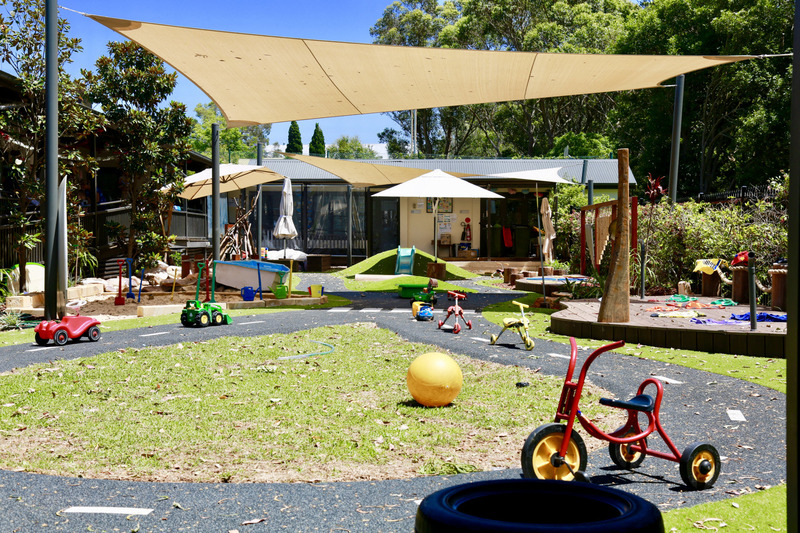 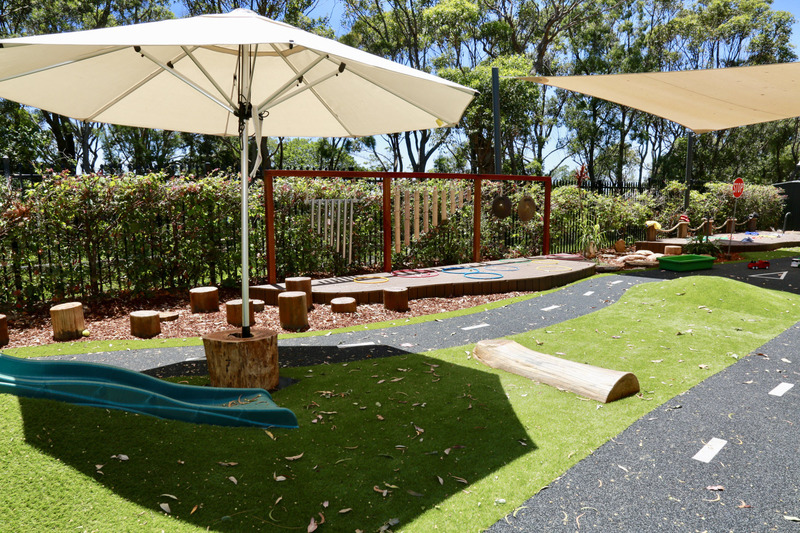 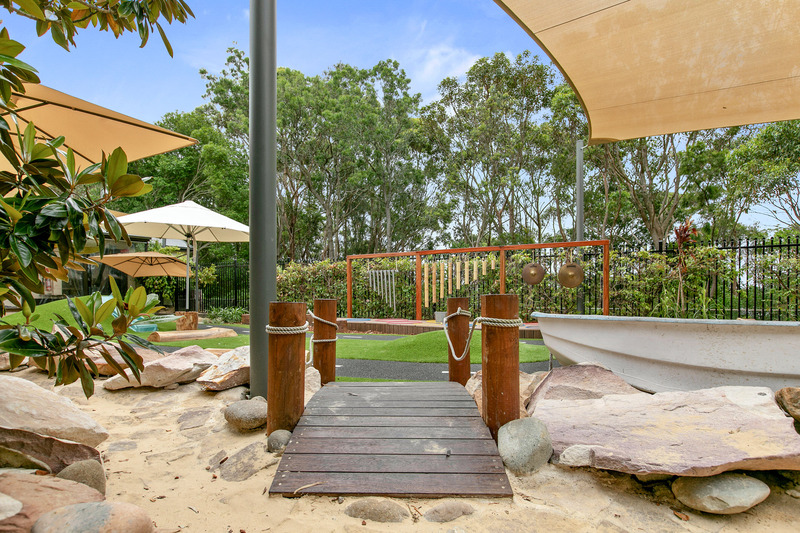 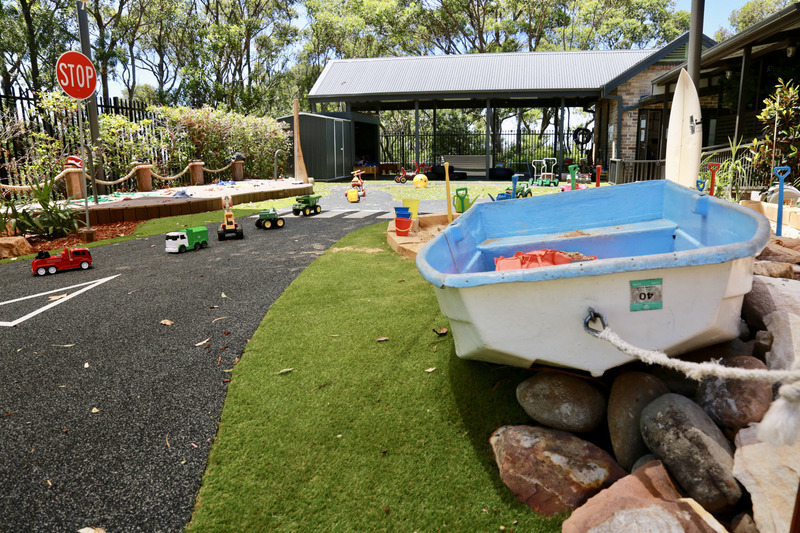 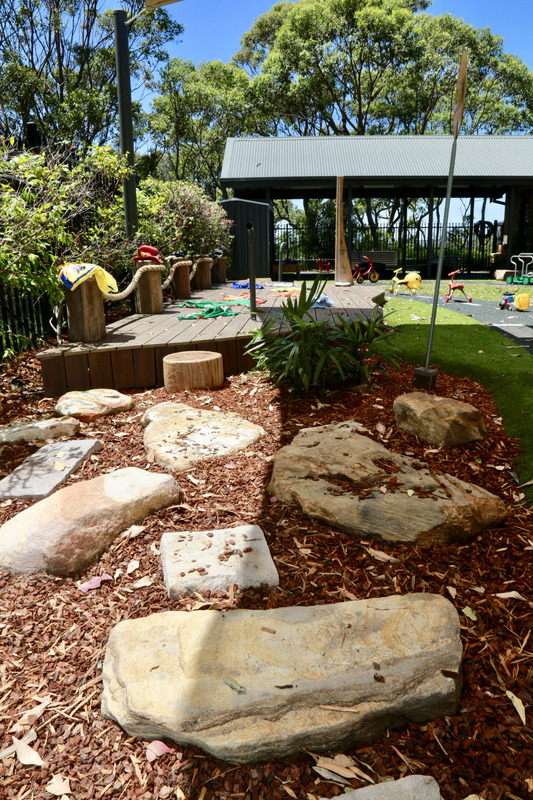 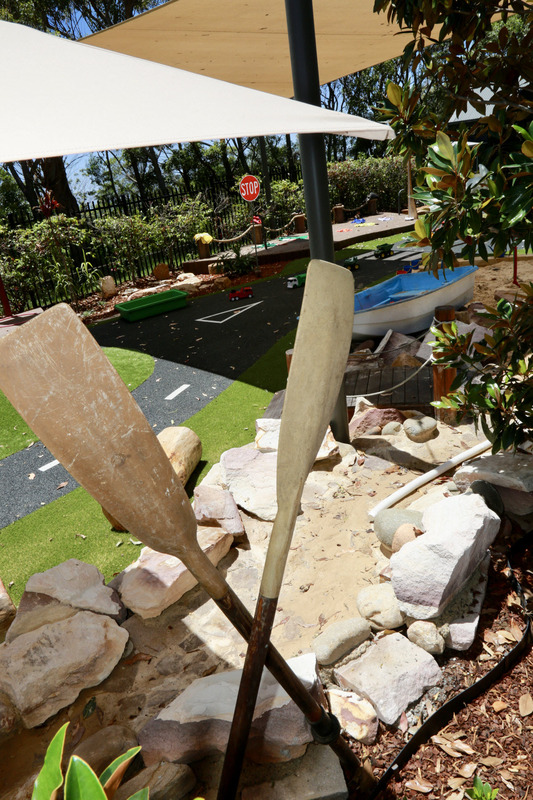 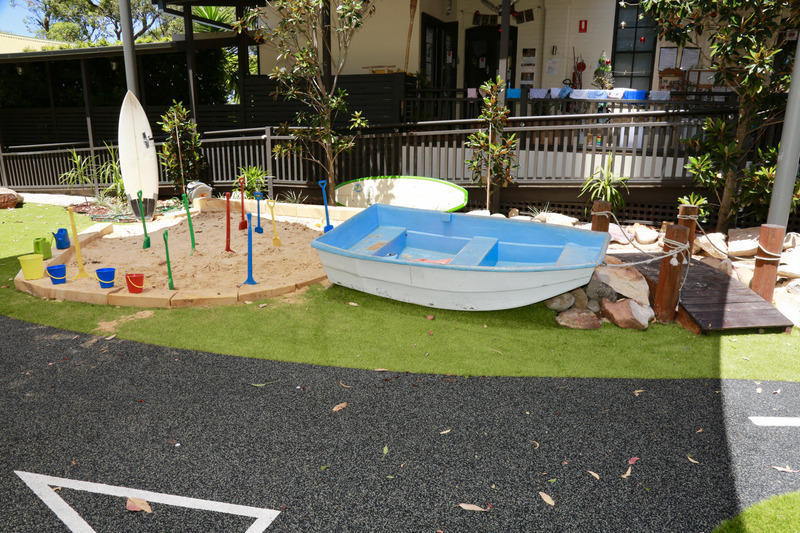 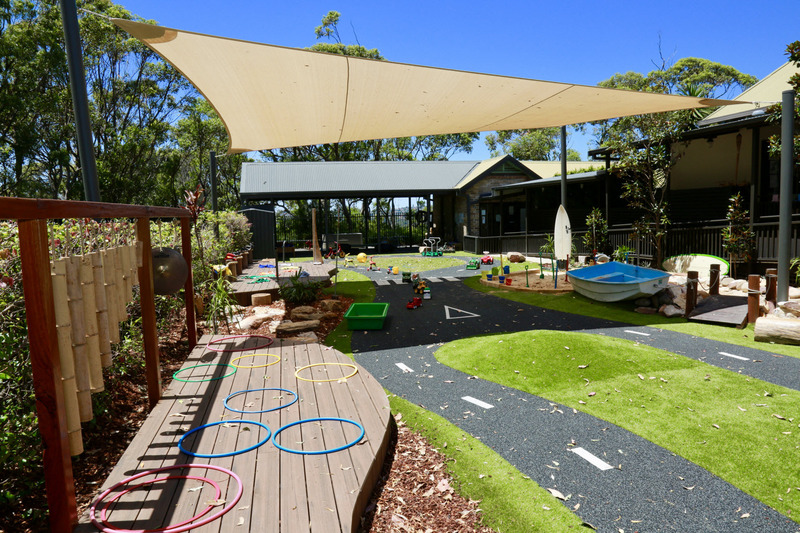 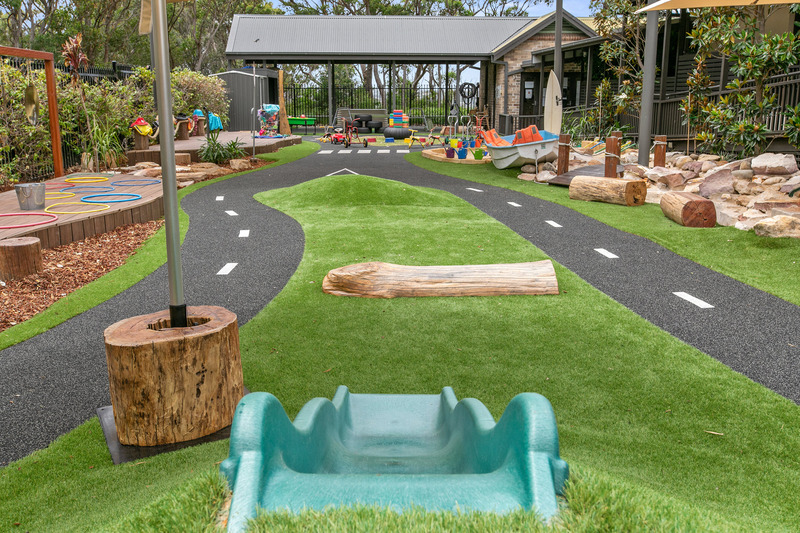 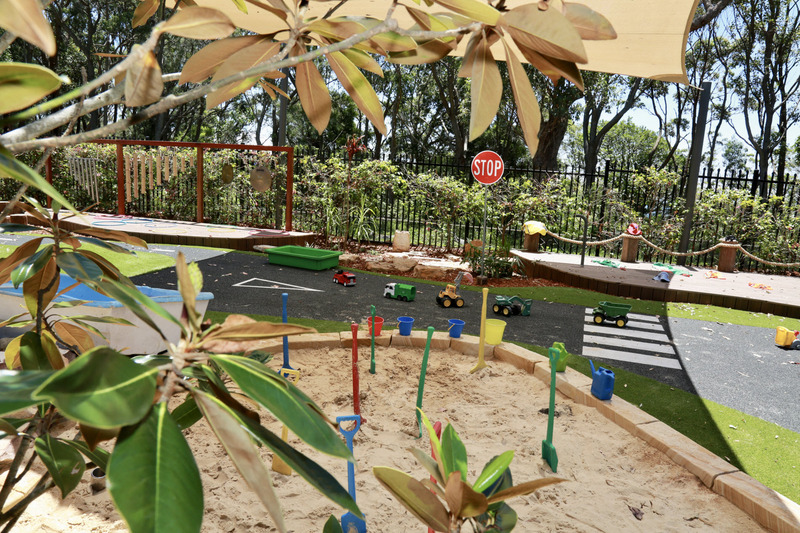 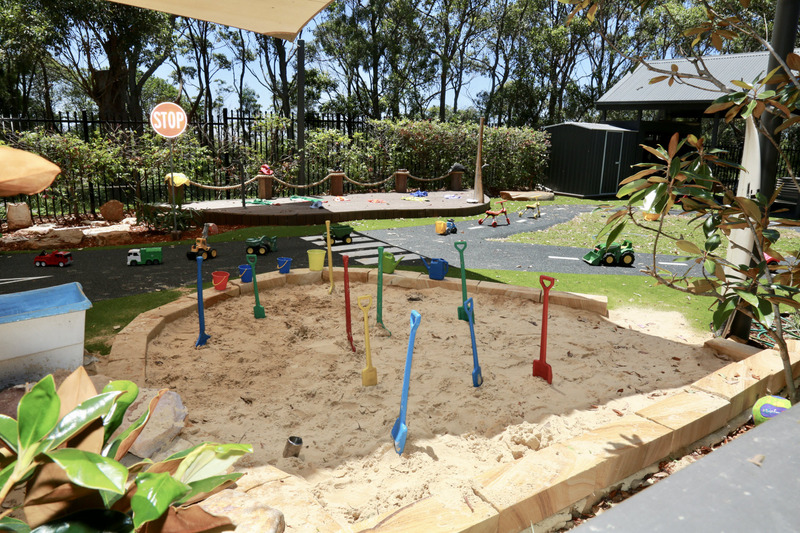 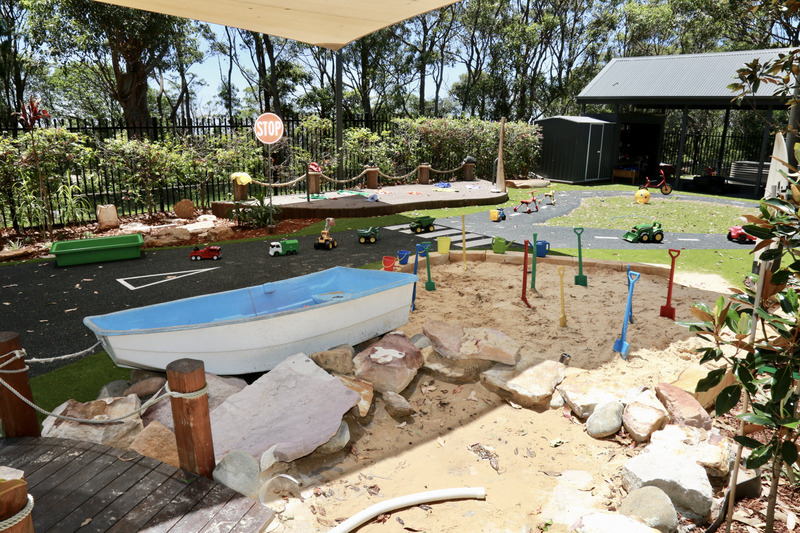 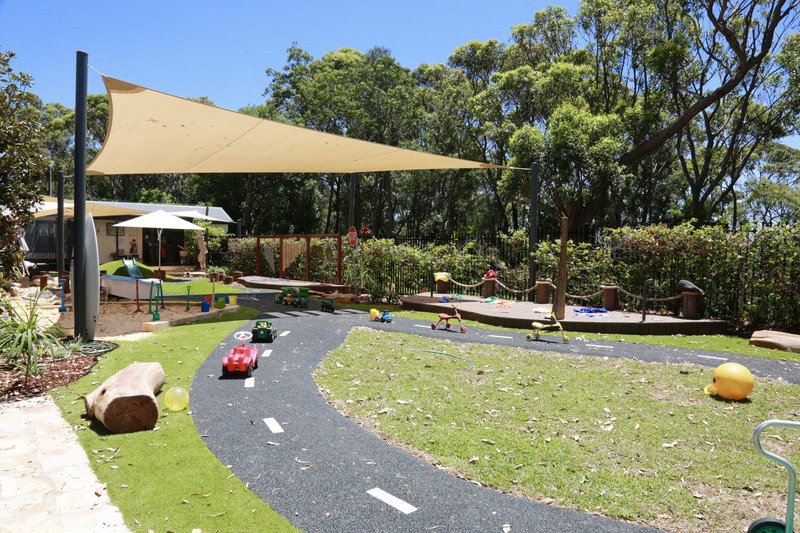 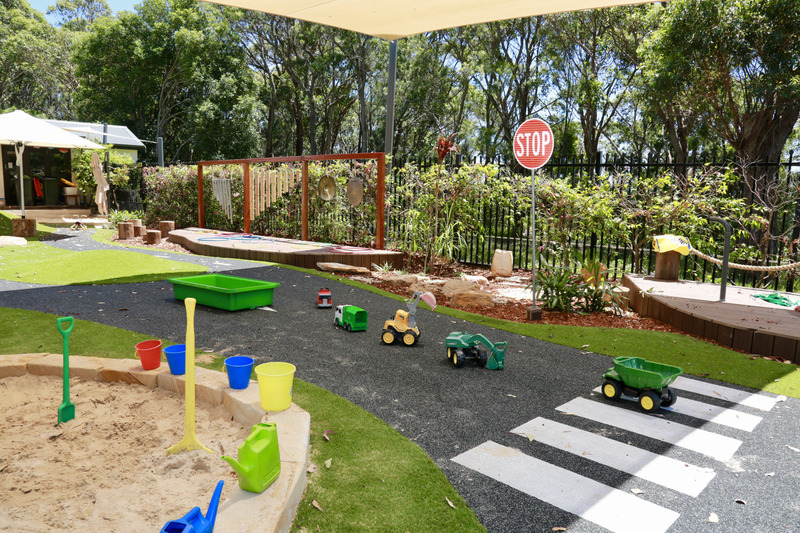 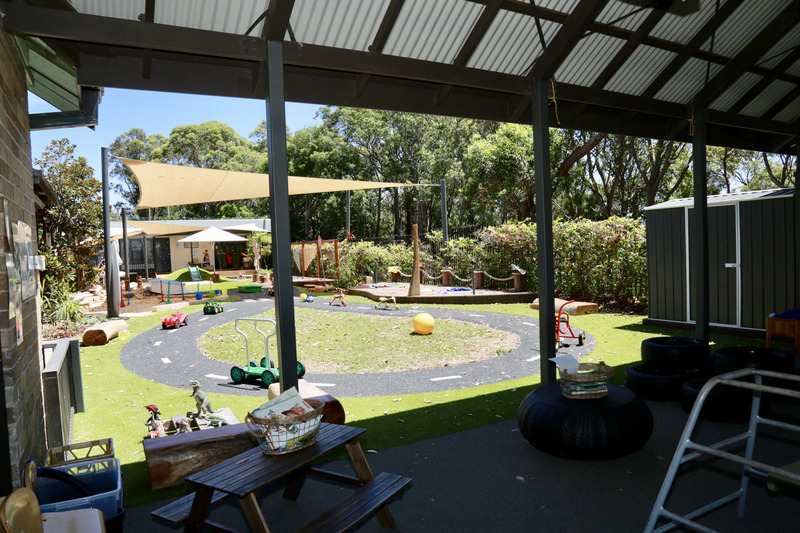 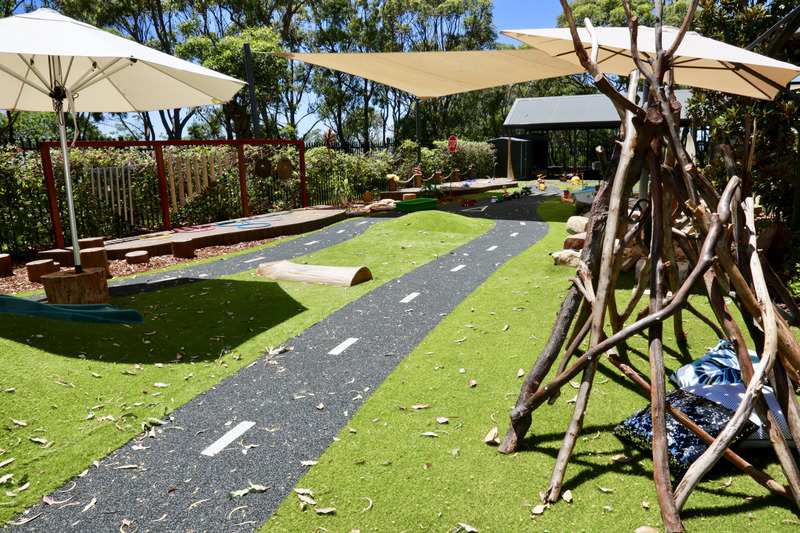 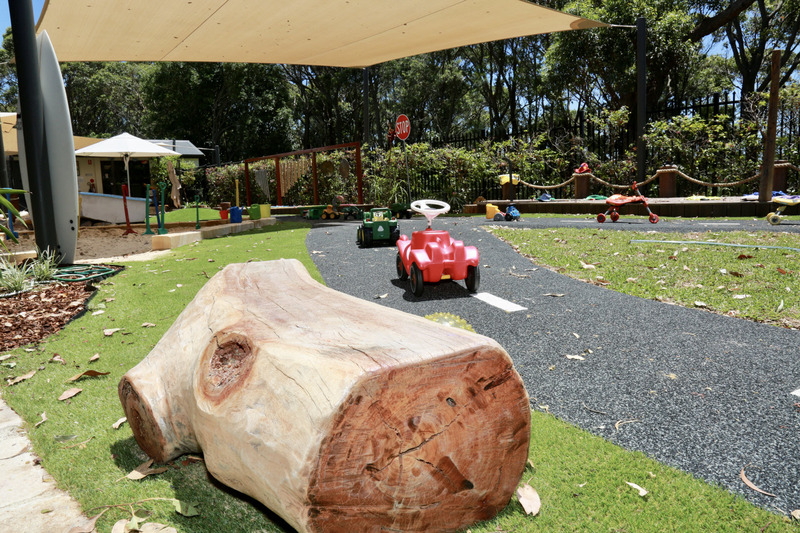 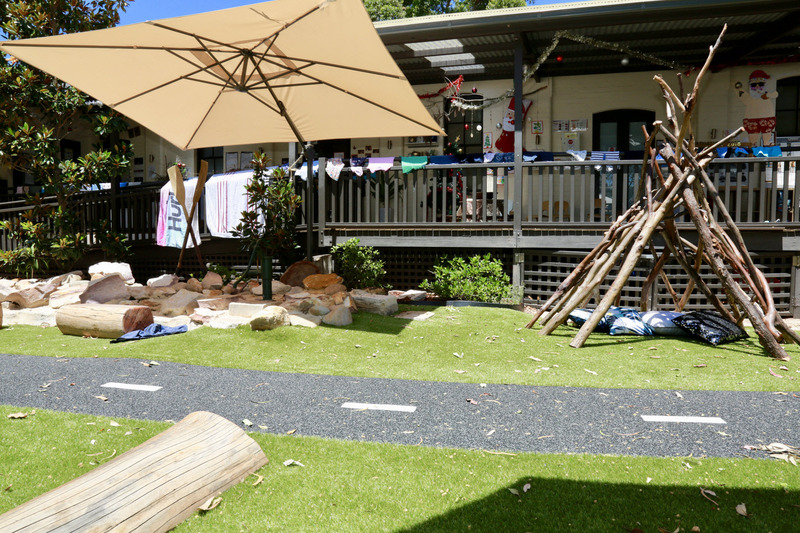 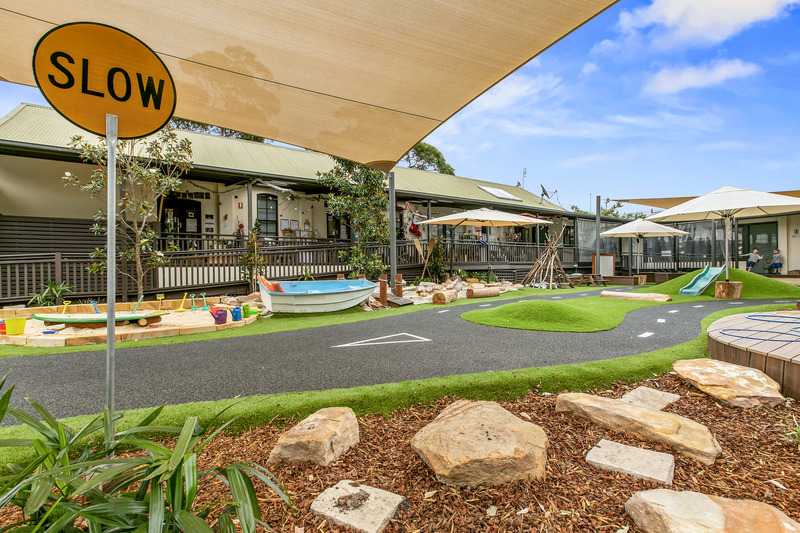 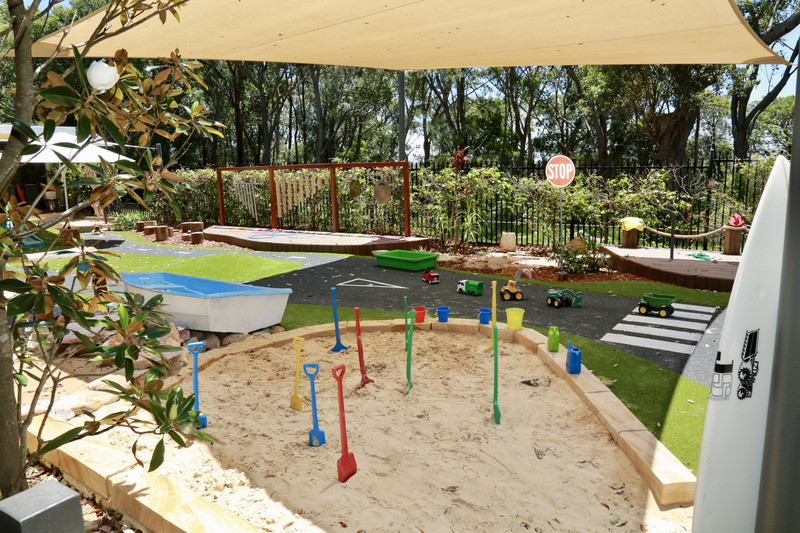 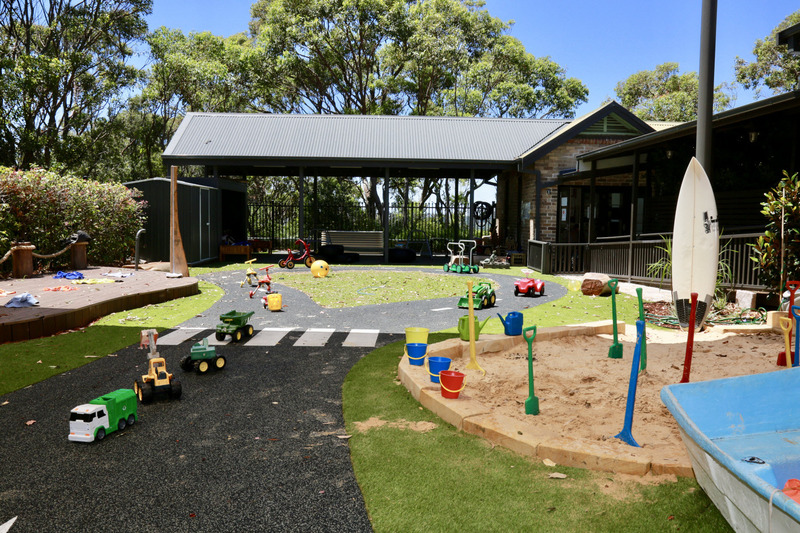 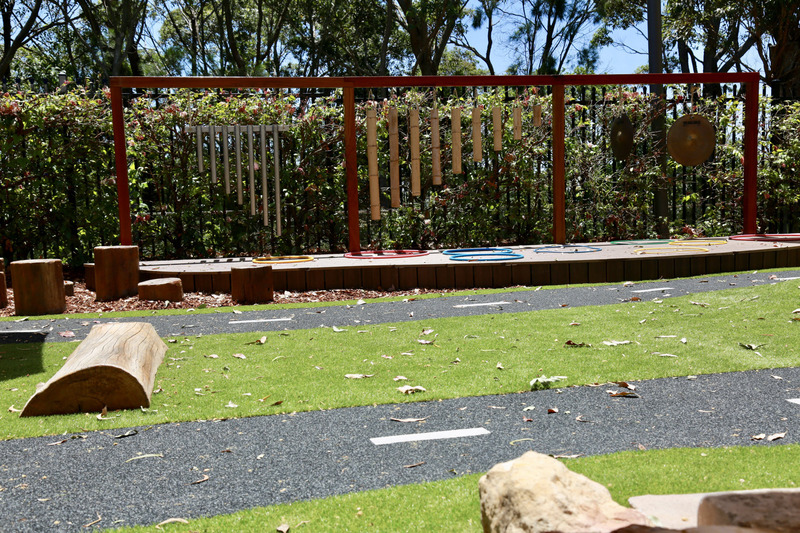 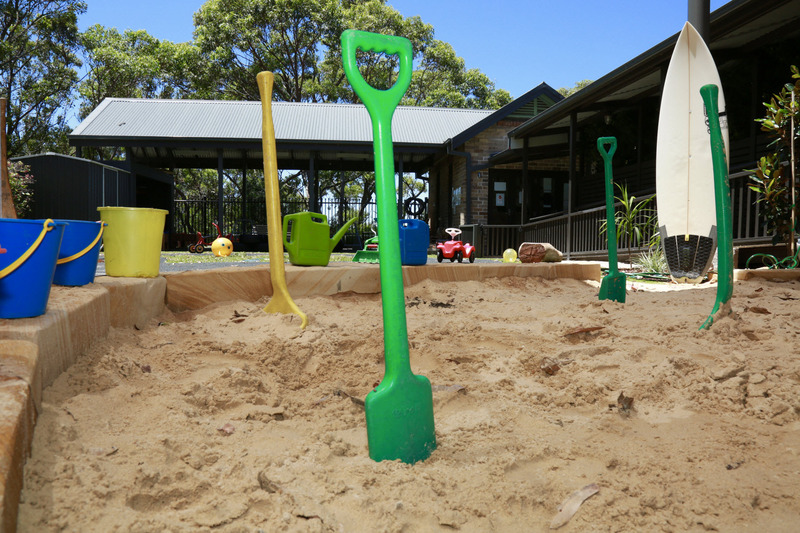 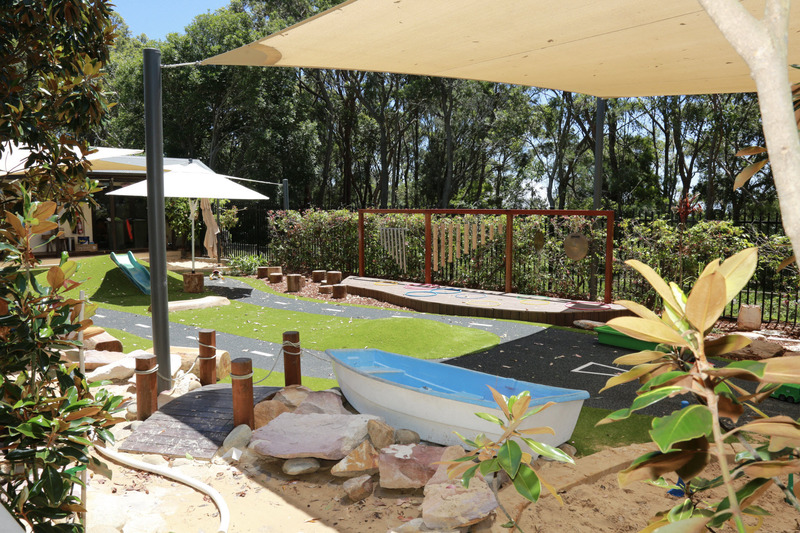 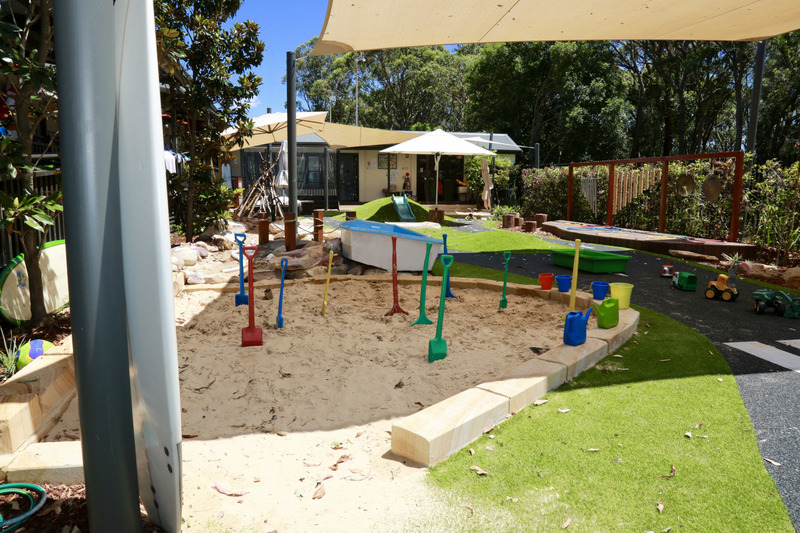 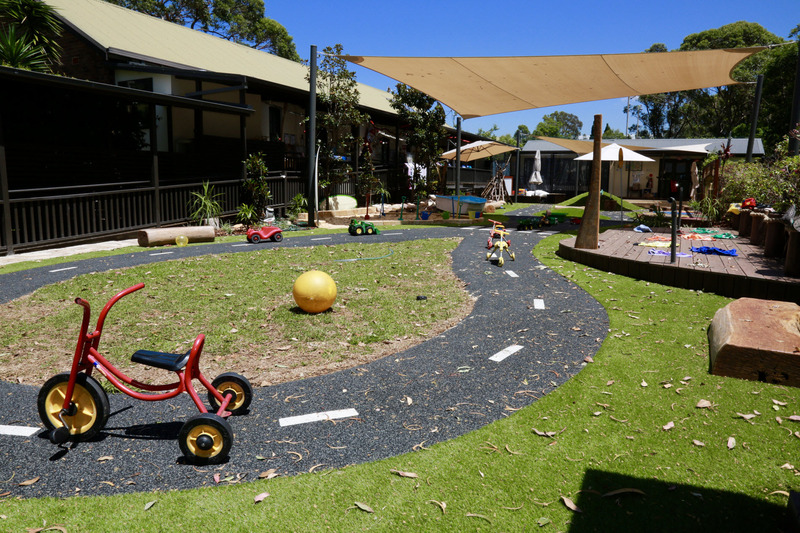 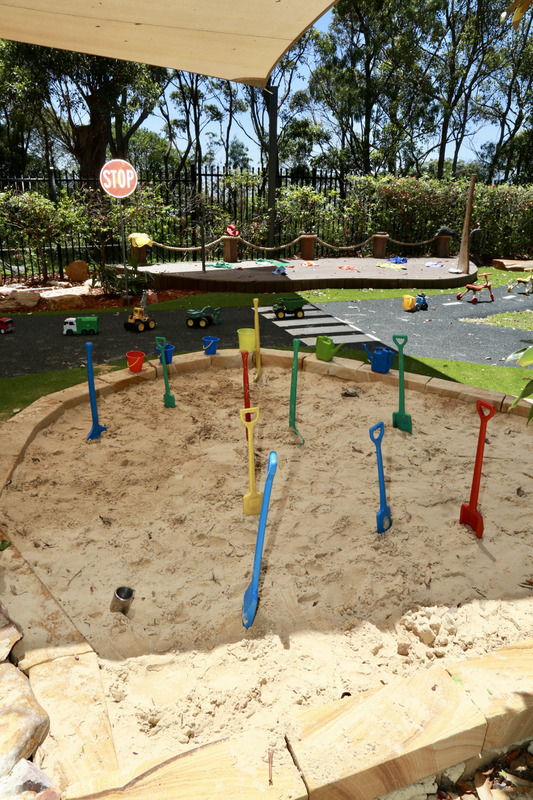 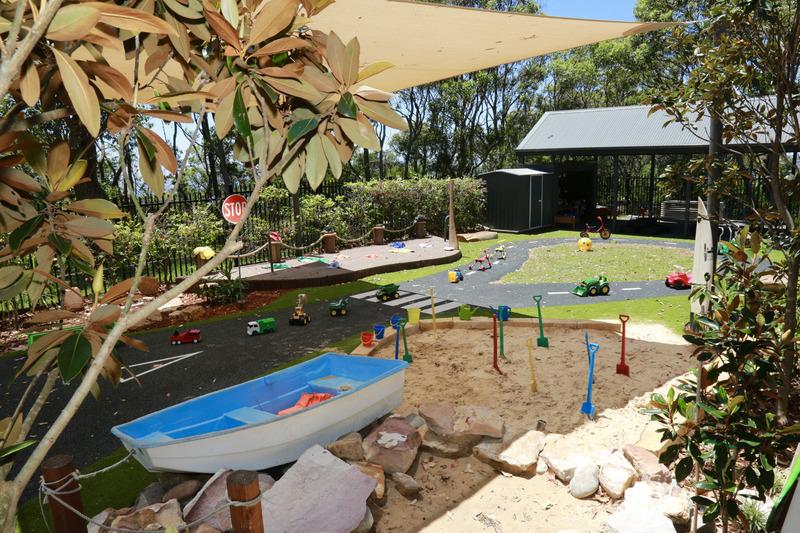 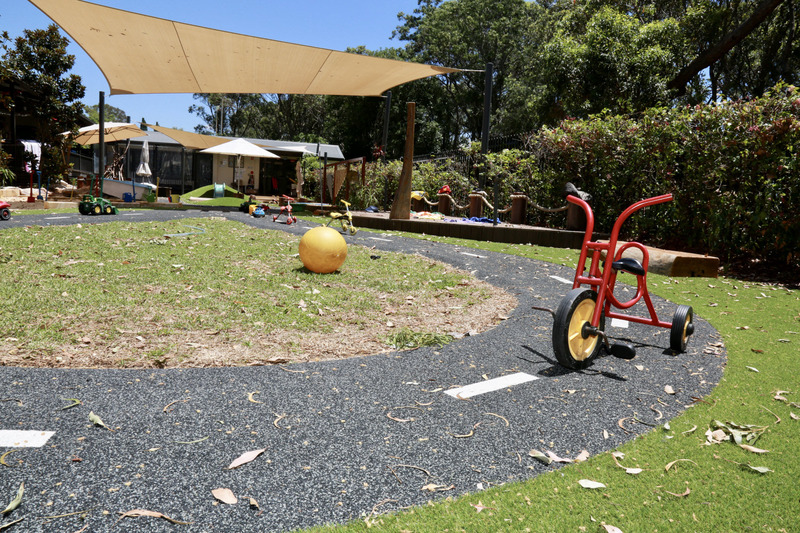 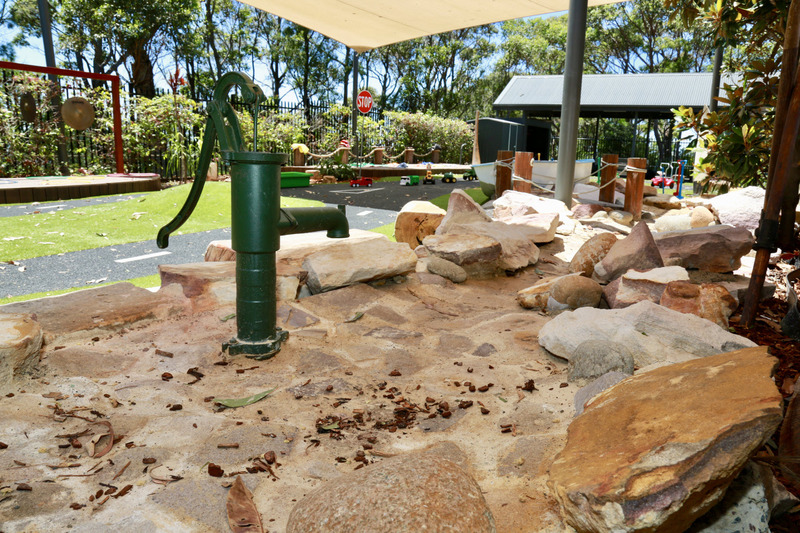 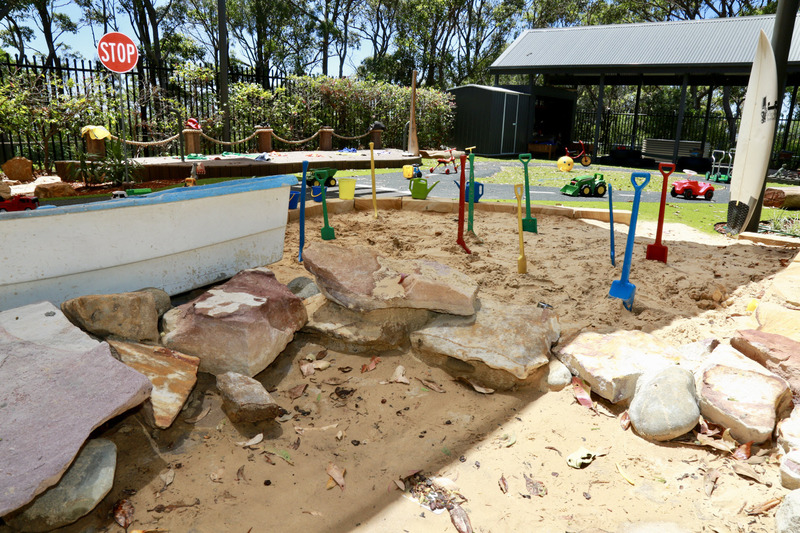 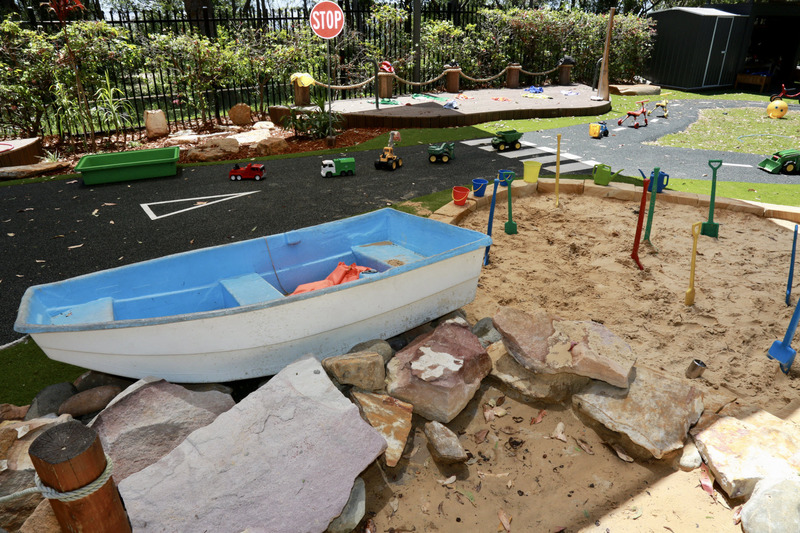 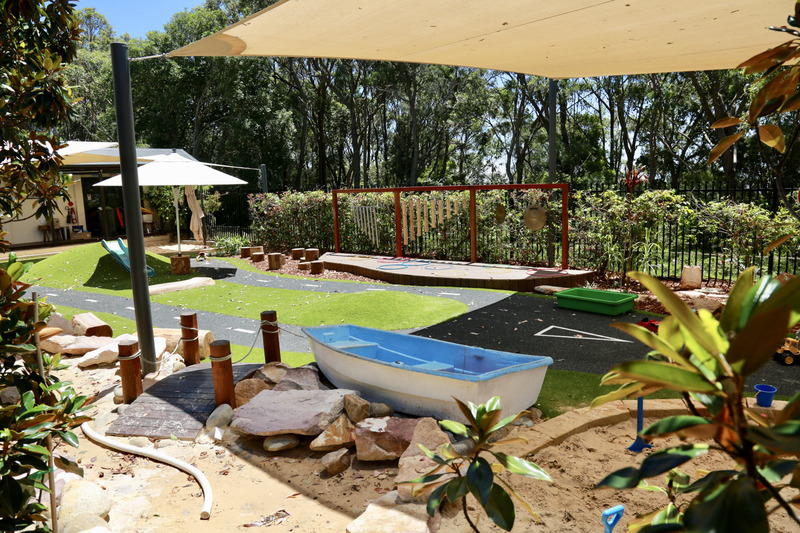 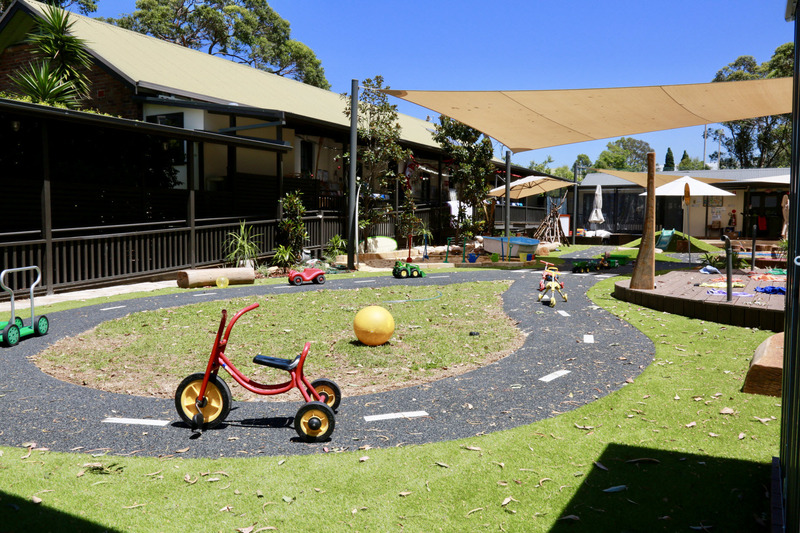 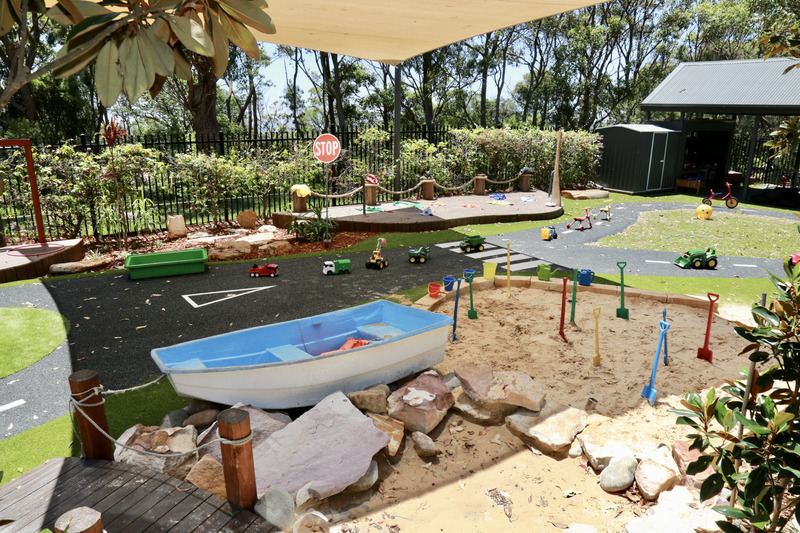 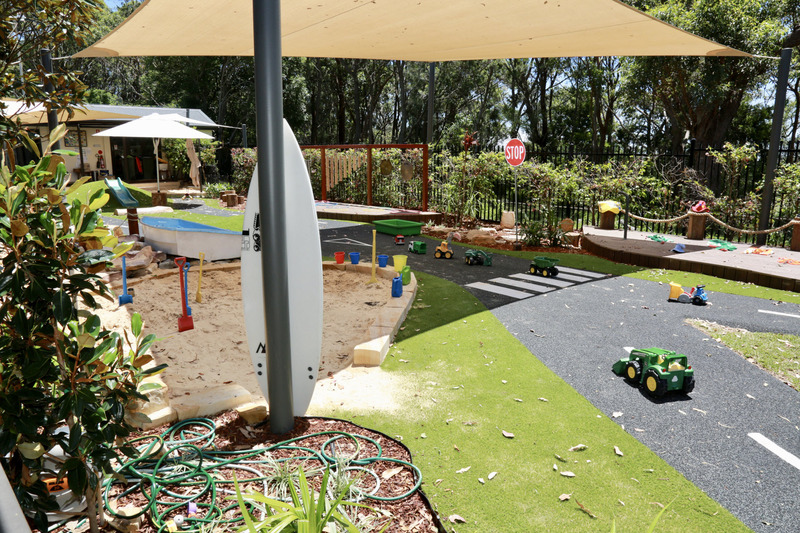 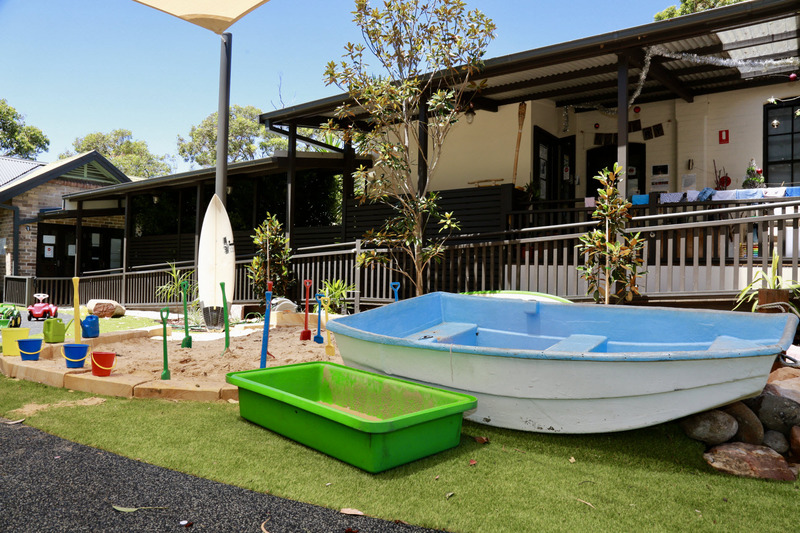 We installed the new sandstone creek, sandpits, and border structures before applying the 40mm Softfall base over the entire space in ready for the new synthetic turf and rubber road and play areas. 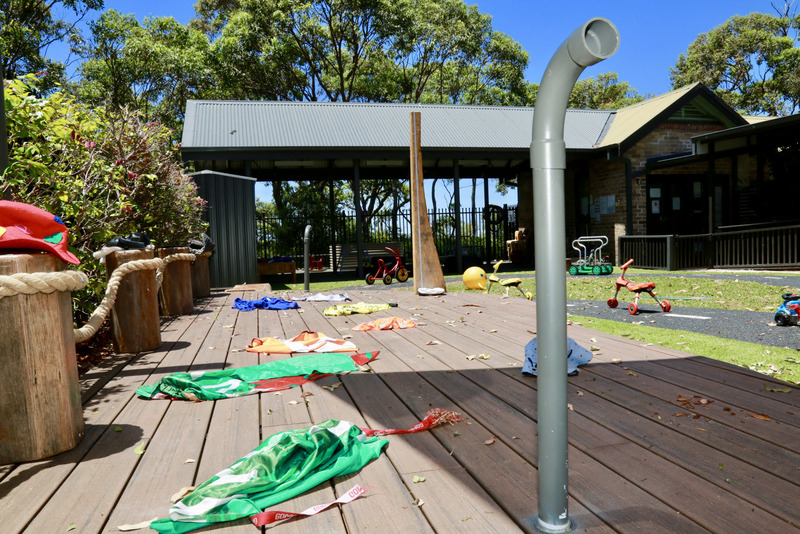 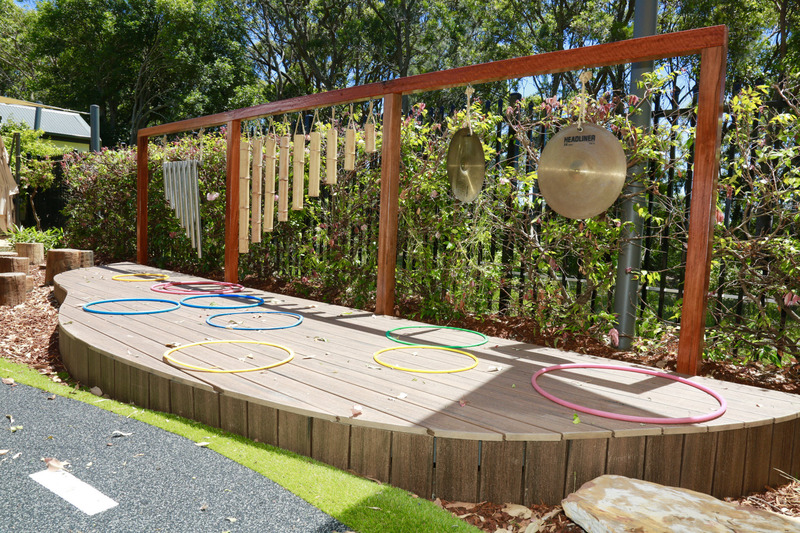 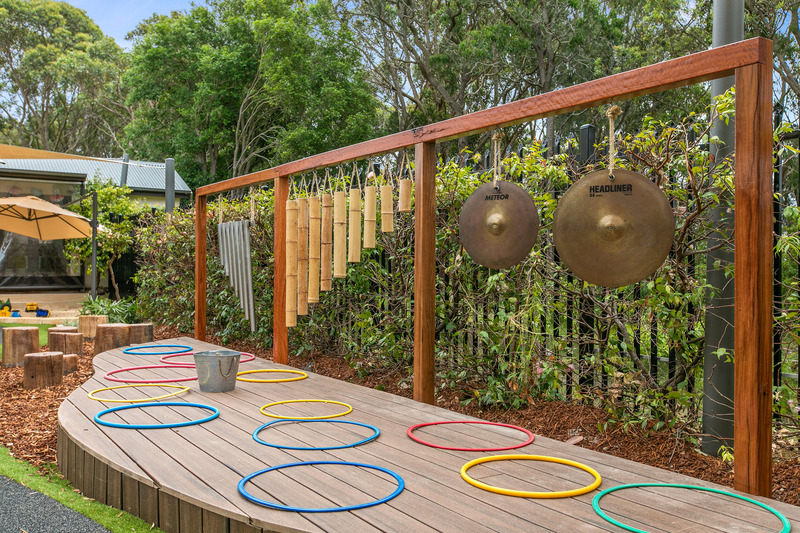 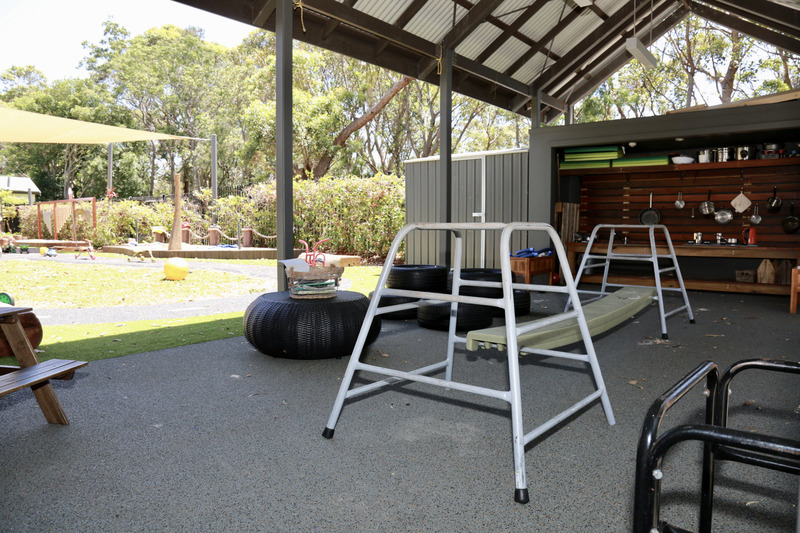 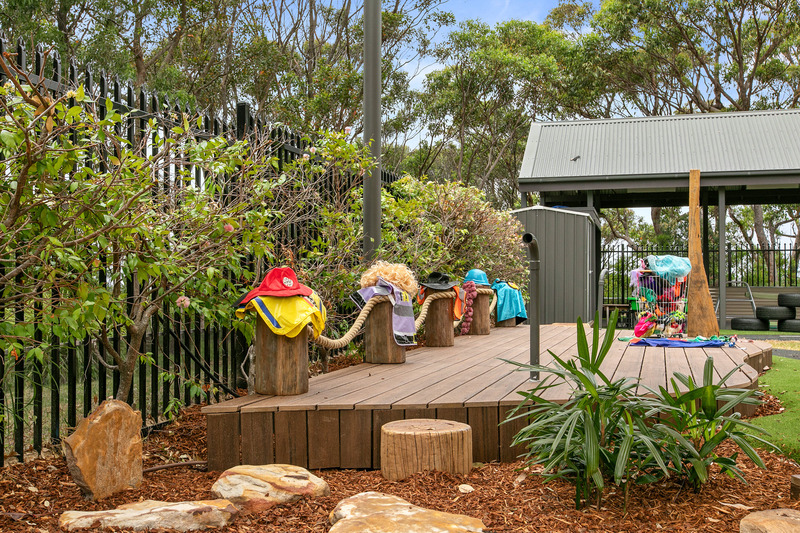 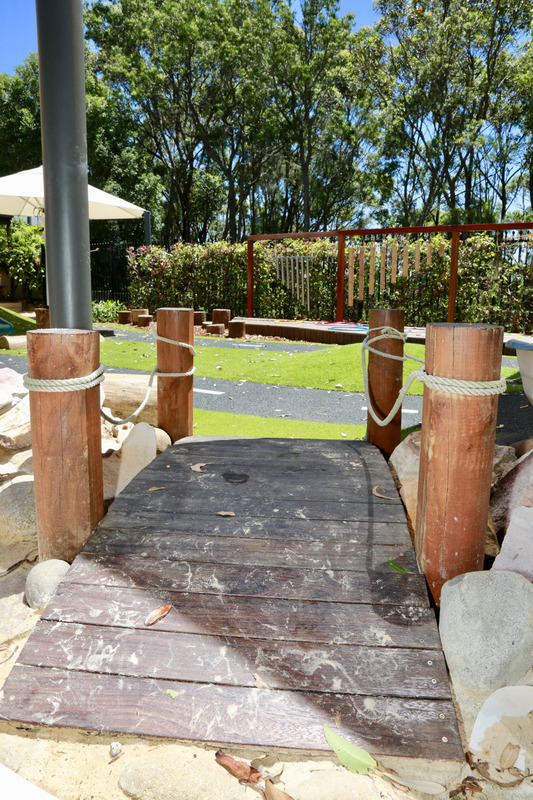 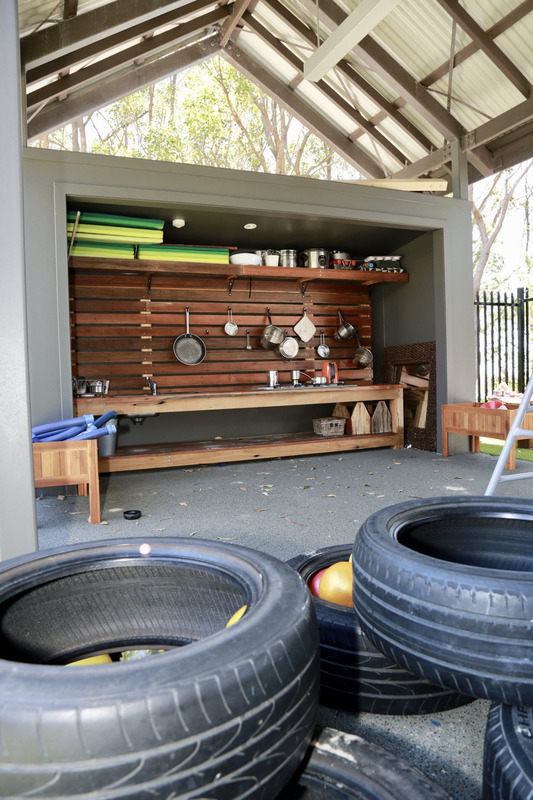 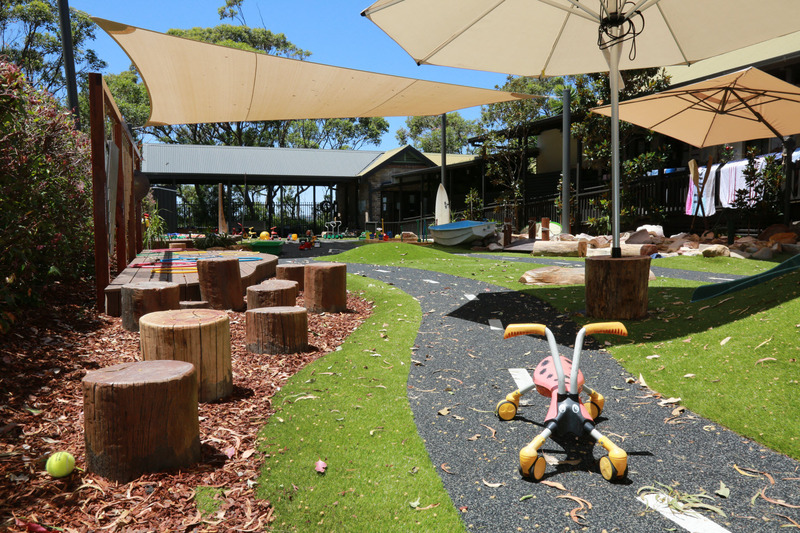 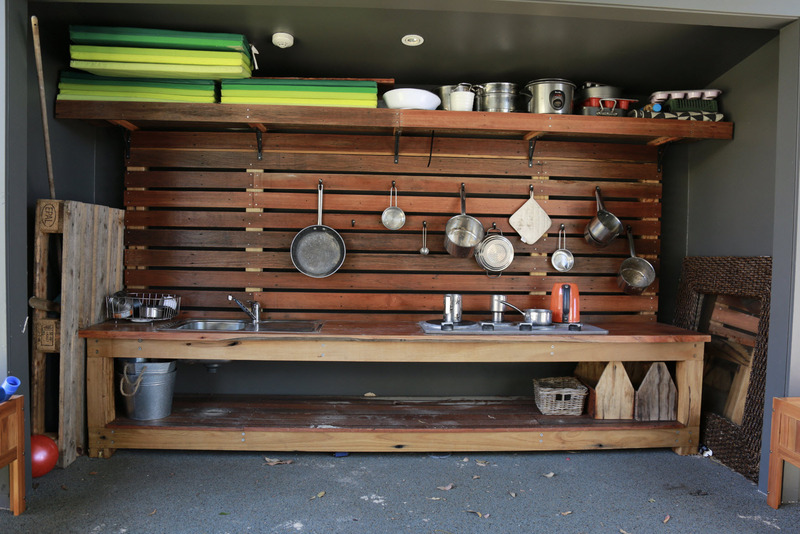 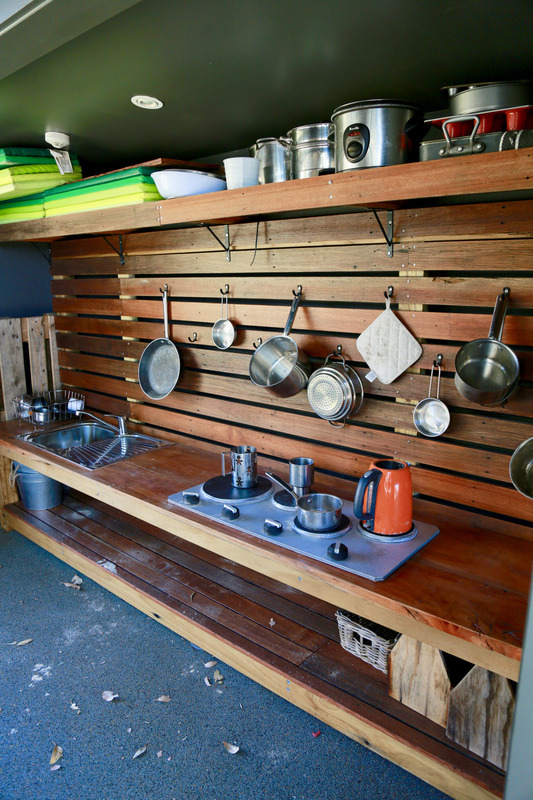 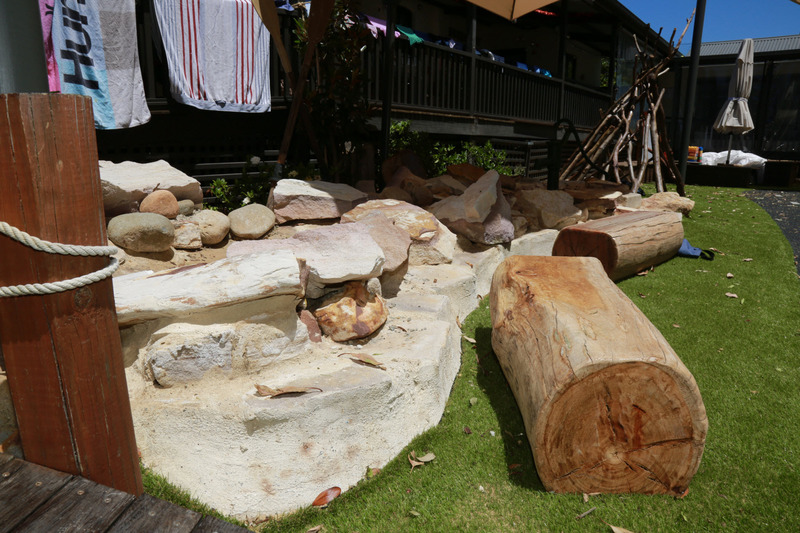 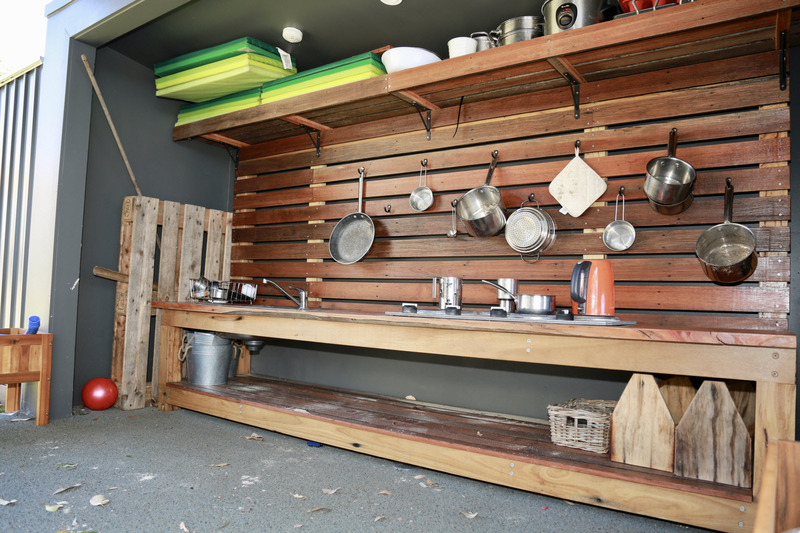 We prepared all the log steppers, seats, benches, musical wall, whiteboards, sandpits, humpy, etc and installed. 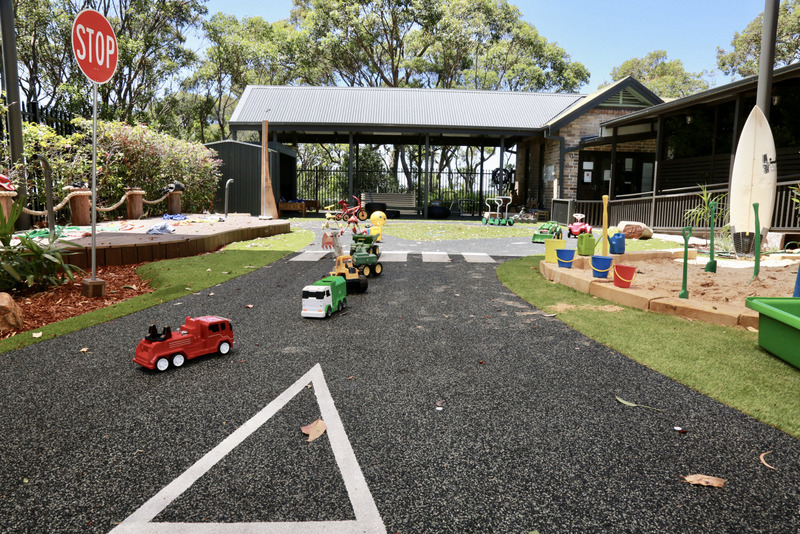 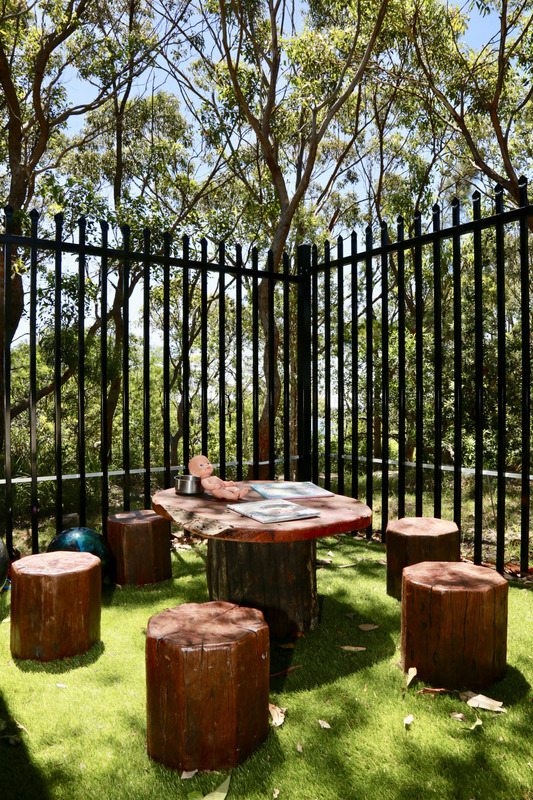 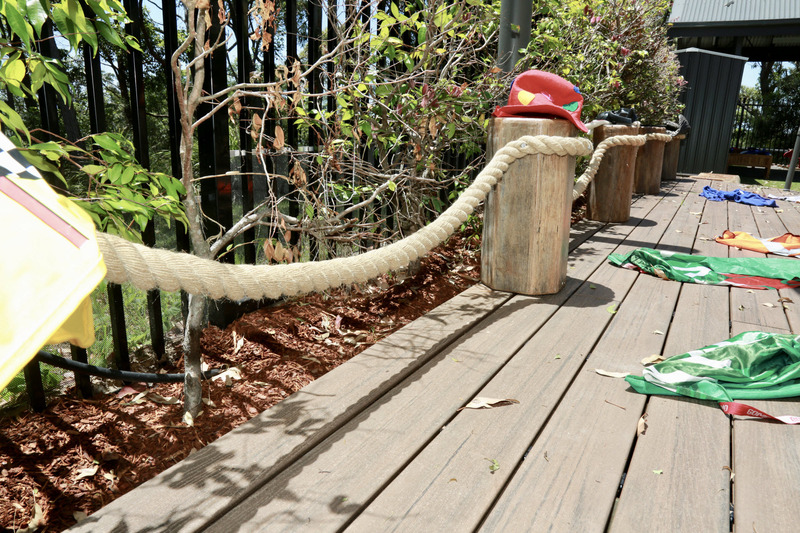 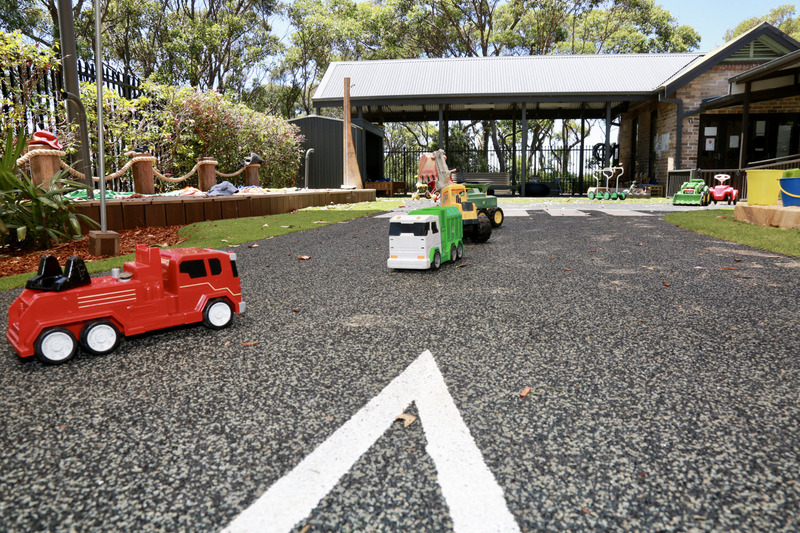 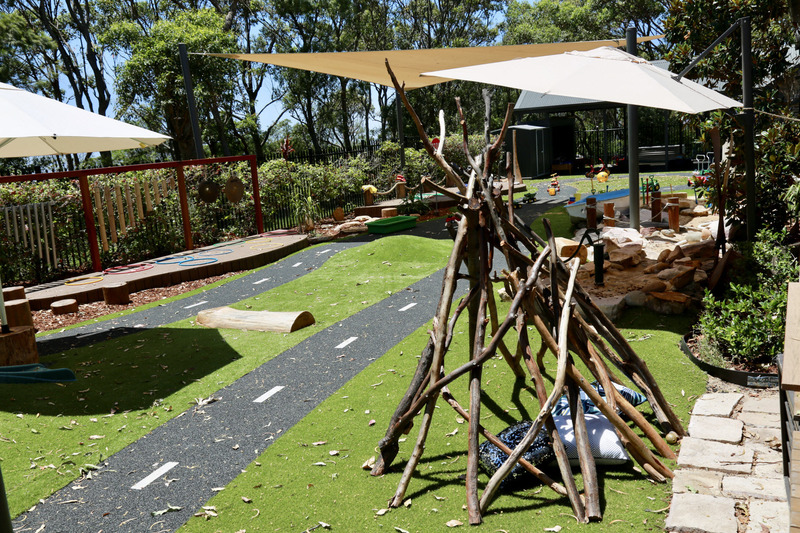 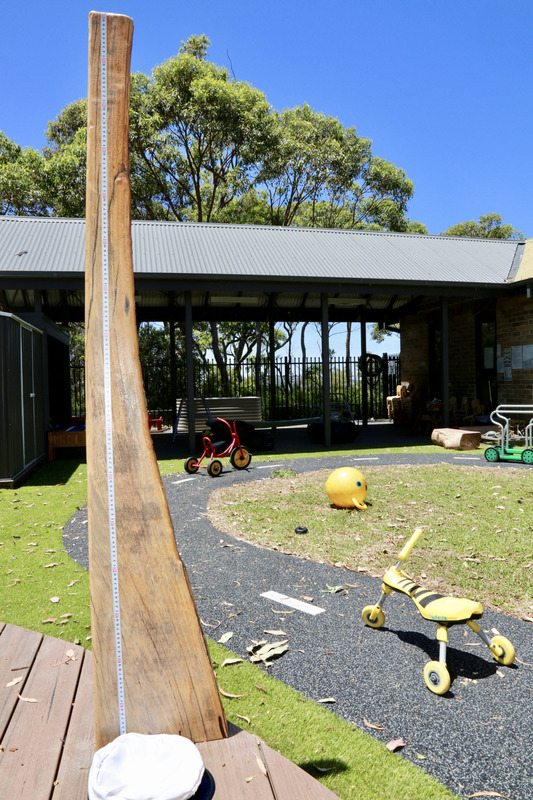 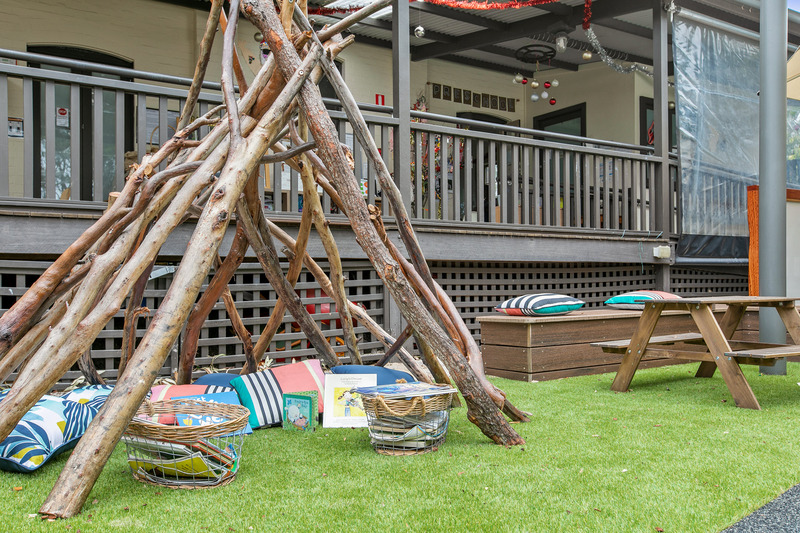 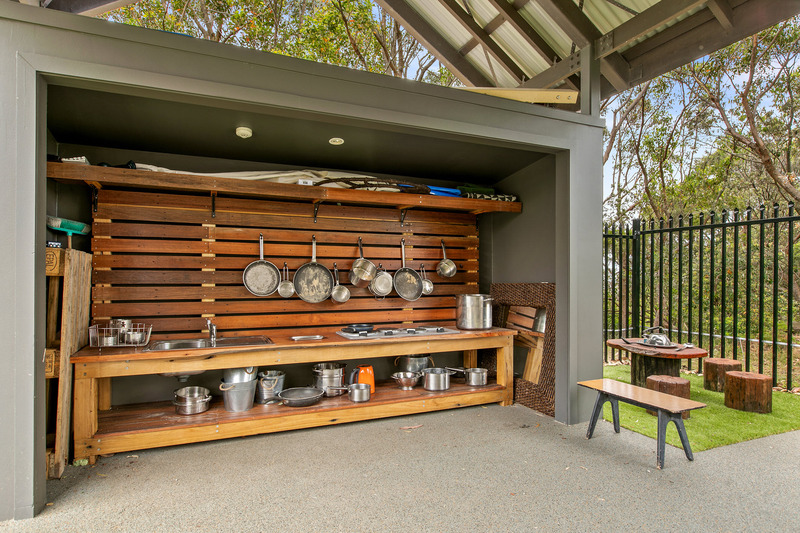 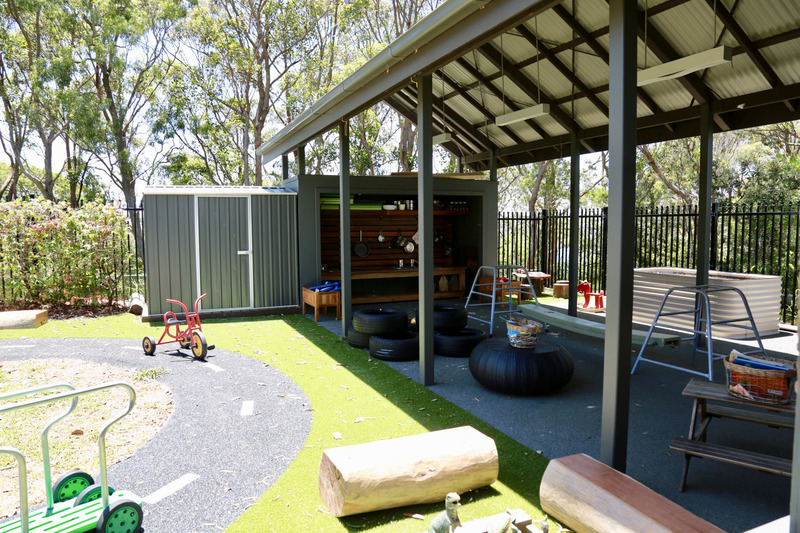 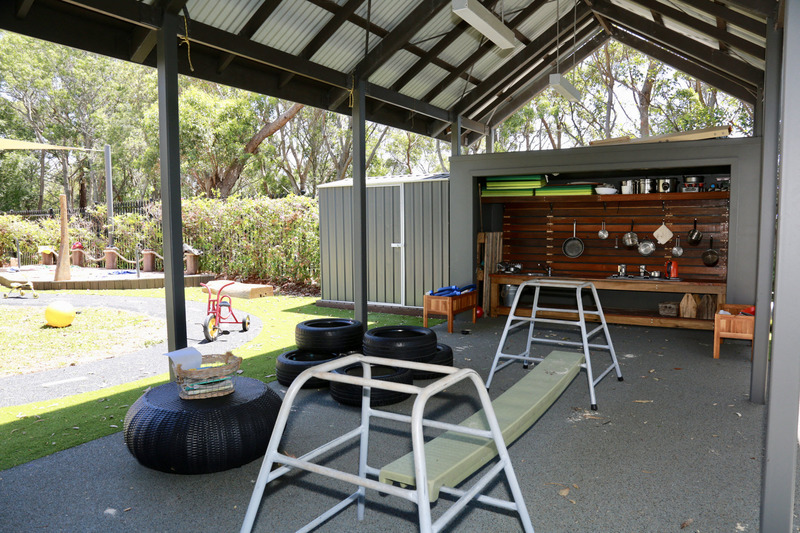 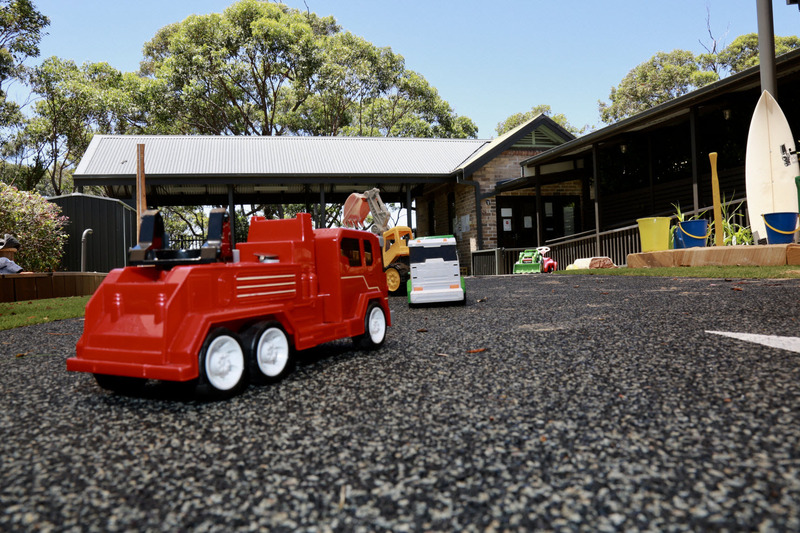 We had to liaise with the Sydney Harbour Trust and bushfire experts to complete a design that minimized potential fire hazards given the project was in a flame zone. 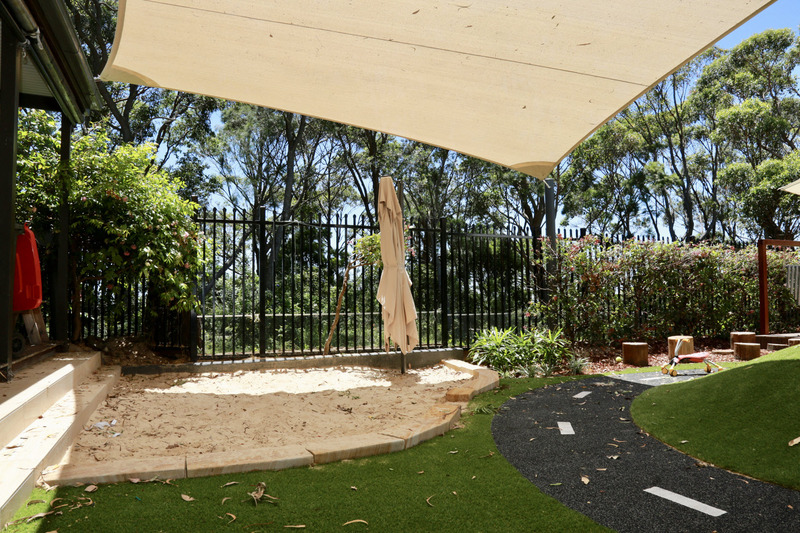 The clients were ecstatic with the results and the turn around time was beyond their expectations.